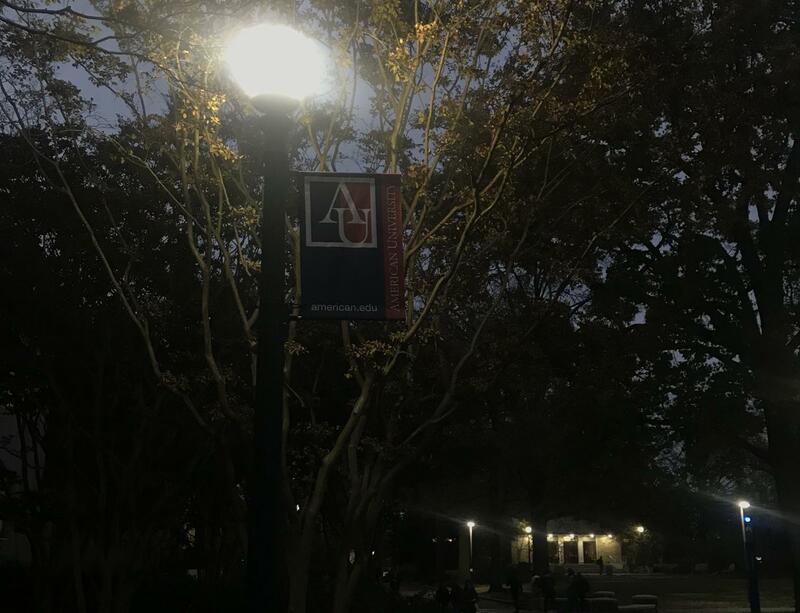 This article is part two of a three-part series that aims to explain the significance of American University’s Board of Trustees. Read Part One here. Diversity and inclusion have become a large part of American University’s focus in recent years. A $61 million focus, in fact, for fiscal year 2019. That number and the following year’s budget for AU’s Plan for Inclusive Excellence will be discussed during the budget process. The AU Board of Trustees met last Thursday and Friday, November 15 and 16, to continue work on the budget for the plan, as well as the university budget for the next two years. Currently, 46 percent of the Board is female and 29 percent are people of color, according to Camille Lepre, Assistant Vice President for Communications and Media University Communications. Both numbers are an increase from the last published data in 2014. The 2014 American University Self-Study reported that 30 percent of the Board was female and 17 were part of a “minority group.” The self-study did not define a “minority group,” but based on the rest of the report, it is likely it references racial minority groups. The Board is mainly comprised of trustees who were sought out as potential candidates and nominated by the trusteeship committee and then voted in by the Board. The current board has 22 of these trustees. Six seats are always reserved for trustees who get onto the Board through other means. Three seats are for ex-officio trustees: the university president, the General Secretary of the Methodist Higher Education and the Methodist Bishop. The Board chooses and approves the university president. The university president doesn’t have voting power. Two faculty trustees come from the Faculty Senate. The single student trustee comes through an application process first vetted by student leaders from undergraduate, graduate, and law school cohorts in their respective student government organizations and then nominated by the Trusteeship Committee of the Board. The Board approves all three of these trustees, and none of them have voting power. The 2014 report did not specify who — appointed trustees, ex-officio, faculty or student trustee — were considered “minority groups” on the Board. Of the 28 trustees for the 2018-2019 academic year, 13 are women — four more than 2014. Andrea Pearson, one of the faculty trustees and an art history professor focusing on gender in art, is satisfied with this representation but would like to see a woman have the position of chair, which has traditionally been held by a male. “I hope we can mix it up as time goes on,” she said. The Board consists of four trustees who are black, two who are international, one who is Indian-American, and one who is an American citizen of Iranian heritage, according to Lepre. With three more trustees than 2014, this is a 12 percent increase in representation for people of color. But representation doesn’t mean complete status on the Board. 30 percent of the female trustees do not have voting power. That puts the ratio of females with voting power to males with voting power at 3 to 5. All but one of the trustees of color have voting power. Half of the women on the Board received their spot through the traditional process of being sought out by the trusteeship committee. All of the men received their spot through this process. Six of the eight trustees of color went through this process. The two who didn’t go through this process are two of the three women of color on the board: the Methodist Bishop and the student trustee, Saira Grewal. The position of student trustee has only recently departed from it’s mostly white-male pattern since 2006, the year of the position’s creation. Including current student-trustee-elect, Madison Dalton, only 31 percent of student trustees have been women and 38 percent have been people of color. But since the first female student trustee in 2014, all student trustees have been either a woman or a person of color. Four of the five have been women, four have been people of color, and the last three have been both. Valentina Fernández, the first Latinx student trustee, wanted to include voices not typically heard in the decision-making conversations of the Board, she wrote in an op-ed for The Eagle. While the diversity on the Board is an aspect to work on, it is improving, according to Pearson and Grewal. Grewal, the first student trustee not in School of Public Affairs, has noticed that the newest trustees have been women and people of color. The 2018 class includes an Iranian male, an African American male, and a Caucasian female. “I think they’re conscious of the fact that there’s a lot of white men, and that’s not necessarily a reflection of the student population,” Grewal said. A Board that reflects the student body would comprise of 34 percent people of color, according to statistics provided in the Plan for Inclusive Excellence. It would also be 63 percent female, based on data from College Factual. That’s a 5 and 17 percent difference, respectively, to current stats. “Some of the impediments are that some of these [minority] groups aren’t able to commit financially,” current trustee Pamela Deese said, referencing the financial aspect of trusteeship. But, financial capacity isn’t the only determinant for trusteeship, Deese added. The Board is always looking for members with many types of diversity, including diversity of region, race, thought, gender, culture, and ethnicity, according to Deese, who has been a trustee for over 17 years. A running joke on diversity of trustees, Deese said, was that the Board needed fewer lawyers, alluding to the high number of trustees with law degrees. Of the trustees that go through the nomination process, more than half are CEOs, chairmen, or presidents of their respective company. On regional diversity, 45 percent of these trustees live outside the DMV area. The Plan for Inclusive Excellence does not include any formal processes to address diversity on the Board, as it does with other groups, but “recruiting an increasingly diverse Board is a high priority for the Board,” according to Lepre. “Ethnic, gender, professional, and geographical diversity” is one of the nine selection criteria for trustees, according to the Board policies. Ideal candidates would have as many of these nine criteria as possible. “The Board recognizes that a robust diversity of backgrounds among the trustees will add significantly to the quality of the Board and its deliberations,” the Board’s policies state. Even though there are no formal process for diversity, diversity is a commitment of the Board, Deese said.